I’ve been spending a fair amount of time on airplanes, lately. The end result of that is that I finished another scarf. 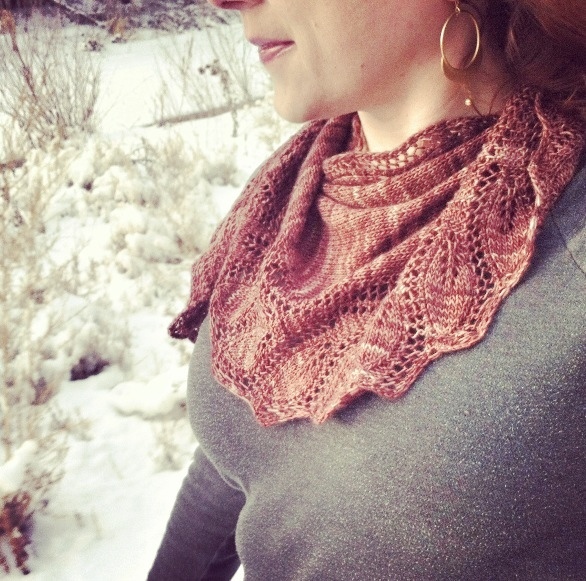 It’s also in Madelinetosh, merino light–colorway “moccasin”. The pattern is “Semele” and it was a joy to knit–an interesting construction, knitting the leaves at an angle to the body of the scarf. 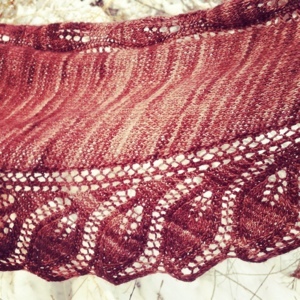 And like most lace projects, watching it bloom in the blocking process–crumpled little leaves opening up to show the full stitch detail–was a great pleasure. ← Finally, after all this time.